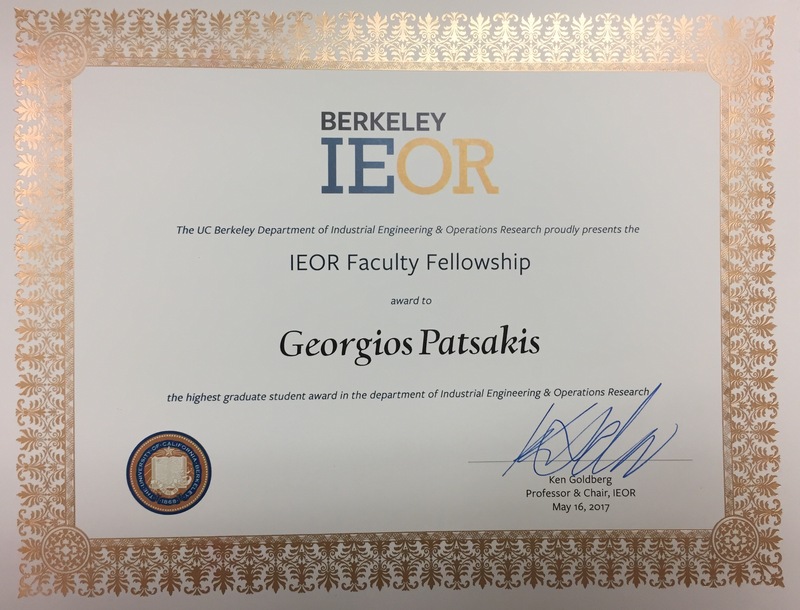 I am a PhD Candidate in Industrial Engineering and Operations Research (IEOR) at the University of California Berkeley. My advisor is Professor Shmuel Oren. 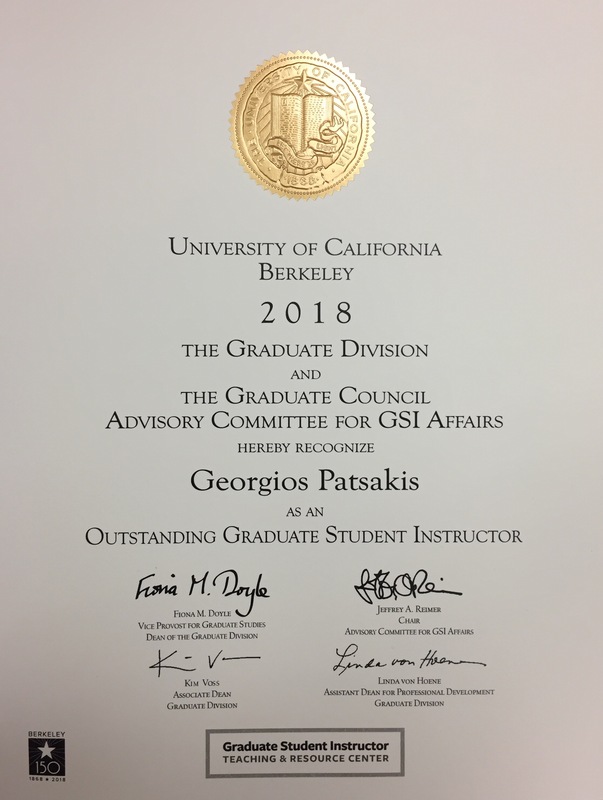 I completed my undergraduate studies in the school of Electrical and Computer Engineering (ECE) at the National Technical University of Athens (NTUA), Greece, where I worked with Professor Stavros Papathanasiou. I am an external collaborator of the Lawrence Livermore National Laboratory. My research is also partly supported by the Tsinghua-Berkeley Shenzhen Institute, Lab 1C (Smart Grid and Renewable Energy). In the past, I worked for the Calibration Service of the Hellenic Air Force. My research interests lie in the field of large scale optimization for power systems. Specifically, I am interested in developing techniques for modeling and solving mixed integer programs for power systems applications, such as the stochastic unit commitment problem and the power system restoration problem. I have also worked on model predictive control for electric drives and modeling and control for wind turbines and HVDC systems. I have collaborated with Deepak Rajan, Ignacio Aravena, Petros Karamanakos, and Sotirios Nanou. 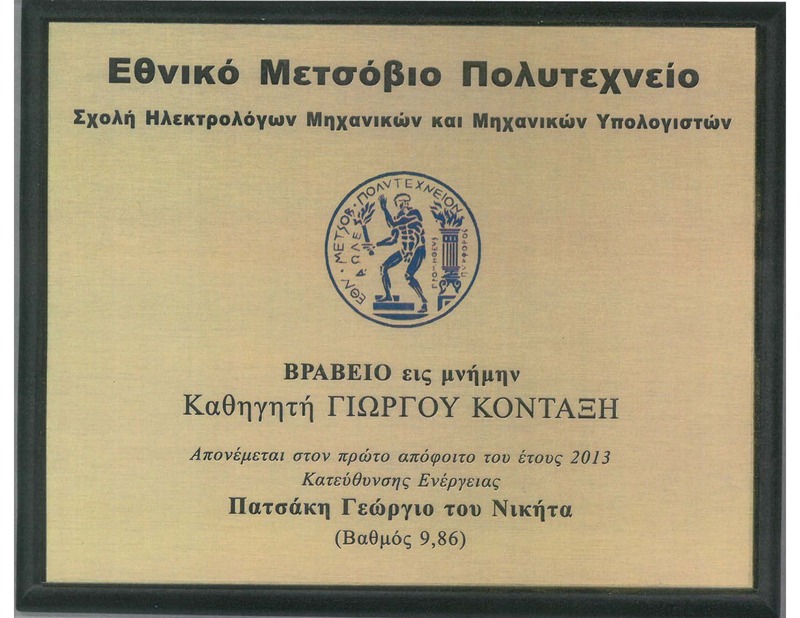 I am a fellow of the Onassis Foundation and recepient of the 2013 Chrysovergis Award and the 2013 ECE Kontaxis Award at NTUA. University of California Berkeley, California, USA. G. Patsakis, I. Aravena, D. Rajan. A Stochastic Program for Optimal Black Start Allocation. 52nd Hawaii International Conference on System Sciences, IEEE, 2019. G. Patsakis, D. Rajan, I. Aravena, S. Oren. Strong Mixed-Integer Formulations for Power System Islanding and Restoration. Submitted, 2018. G. Patsakis, D. Rajan, I. Aravena, J. Rios, S. Oren. Optimal Black Start Allocation for Power System Restoration. IEEE Transactions on Power Systems, vol. 33, no. 6, pp. 6766-6776, 2018. G. Patsakis, S. Oren. The Hidden Cost of Priority Dispatch for Wind Power. Submitted, 2018. I. Aravena, D. Rajan, G. Patsakis. Mixed-integer linear approximations of AC power flow equations for systems under abnormal operating conditions. Power and Energy Society General Meeting (PES), IEEE, 2018. G. Patsakis, S. Nanou, S. Papathanassiou. Fault ride through of VSC-HVDC connected offshore wind farms: a simplified model. EWEA 2015 annual event, 2015. S. I. Nanou, G. N. Patsakis, S. A. Papathanassiou. Assessment of Communication-Independent Grid Code Compatibility Solutions for VSC-HVDC Connected Offshore Wind Farms. Electric Power Systems Research, Elsevier, Volume 121, Pages 38-51, 2015. Georgios Patsakis. Grid Code Compatibility Solutions for HVDC Connected Offshore Wind Farms. Undergraduate Thesis (in Greek), 2014. G. Patsakis, P. Karamanakos, P. Stolze, S. Manias, R. Kennel, T. Mouton. Variable Switching Point Predictive Torque Control for the Four-Switch Three-Phase Inverter. IEEE SLED/PRECEDE, Munich, Germany, 2013. Instructor for IEOR 166 (Decision Analysis), Spring 2018, UC Berkeley. Teaching Assistant for IEOR 166 (Decision Analysis), Spring 2017, UC Berkeley.